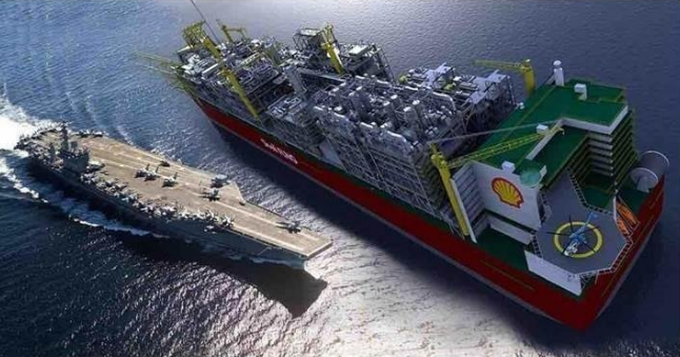 Six Times Larger than World's Biggest US Aircraft Carrier and Longer than New York's Empire State Building is Tall. challenged by Shell's Prelude, best to look away now... ! Gargantuan proportions can be an accurate way of describing the world's largest vessel which now outsizes the world's largest military aircraft carriers by a multiple of six times, and is longer than New York's Empire State Building is tall. It is called Prelude, which is owned by Shell. 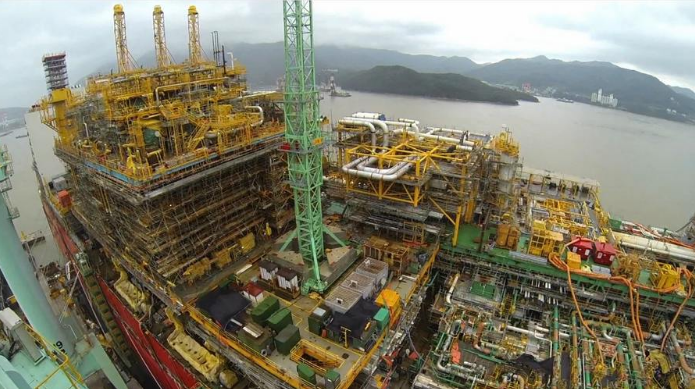 It's left its dry dock and is on its way to the coast of north-western Australia to drill for gas from the bowels of the earth for the next quarter of a century. It will weigh 600,000 tons, compared to a Nimitz class aircraft carrier's full-load displacement of 100,000 tons. Thus, Prelude will displace six times as much water as the world's largest aircraft carrier. In fact the Prelude's ballast - heavy material placed at the bottom of a ship to give it stability - will weigh more than an entire fully loaded aircraft carrier. ​Australia will soon become the world's biggest Liquefied Natural Gas (LNG) superpower, which will export more LNG than Qatar in the Middle East which is currently the world's largest LNG exporter. 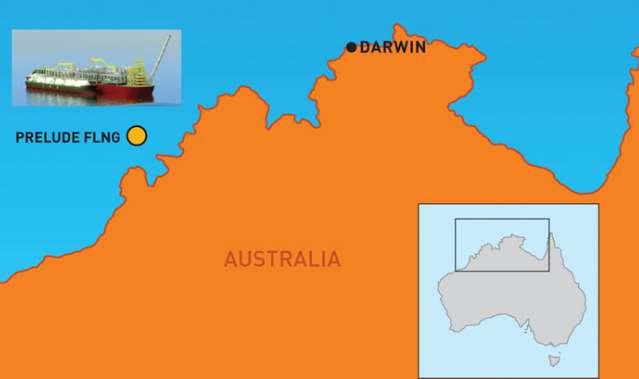 The city of Darwin in the Northern Territory (NT) of Australia, near where Prelude will operate in north-western Australia, has also just finished building a massive LNG facility worth more than $30 billion. Prelude comes in cheaper at approximately $10 billion. In comparison the world's largest cruise ship, Oasis of the Seas, came in much cheaper again, at a cost of approximately $1.5 billion. 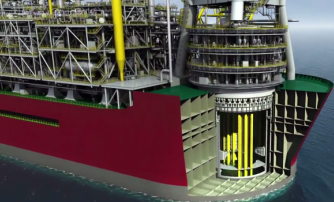 Another floating LNG ship is planned for off the coast of Darwin, making Darwin possibly the most important gas hub in the world. It could be indicative and conceivable by the name, that the berthing of Prelude off north-western Australia near Darwin, may be a Darwinian evolutionary-type prelude for even bigger future mining dimensions, which, additionally, could even be an inspirational prelude for the birth of futuristic self-powered floating civilian cities.